We hope CLMOOC infuses connections and curiosity beyond the summer. 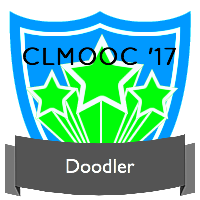 This badge shows that you did something CLMOOC-ish after summer. Did you take part in the CLMOOC Pop-Up Make Cycles for DigiWrimo? 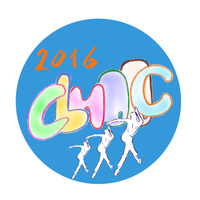 Did you dance or submit a dancing video/gif for the CLMOOC Dance Party Celebration? If so, this badge is for you. Did you make a video or take a photograph? Did you use a lens of some sort to frame the world or your CLMOOC experience? 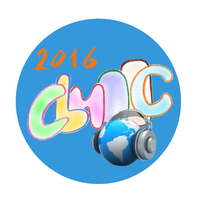 Did you make music during the CLMOOC summer? It could have been a collaborative project or maybe you played a tune on your own. 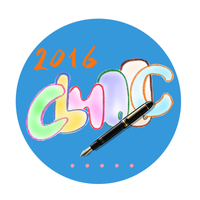 Did you put a pen(cil) to paper to make or write something for CLMOOC? If so, this badge is for you. 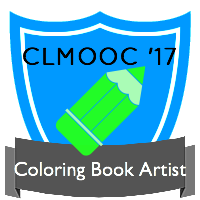 Did you contribute to the CLMOOC Coloring Book Project? 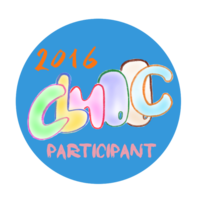 Claim this badge if you submitted or colored a page. Show us your coloring book page! 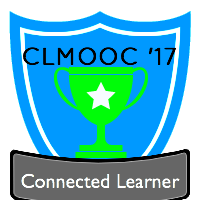 This badge is awarded to participants in the 2016 #CLMOOC, a Connected Learning Massively Open Online Collaboration. 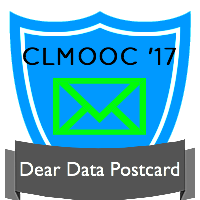 Did you make and send a postcard for CLMOOC? 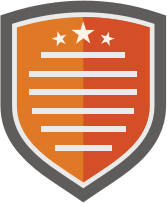 If so, this badge is for you. Did you doodle with CLMOOC? This badge is for sketchers, doodlers, and artists. 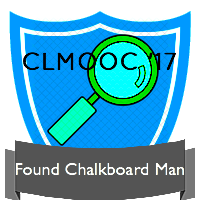 This badge indicates creative participation, with Miss Direction, in the Search for Chalkboard Man exquisite corpse collaborative story.